What are the Best Methods for Drywall Hanging? Drywall is secured by screws to studs, then taped, mudded and sanded prior to painting. 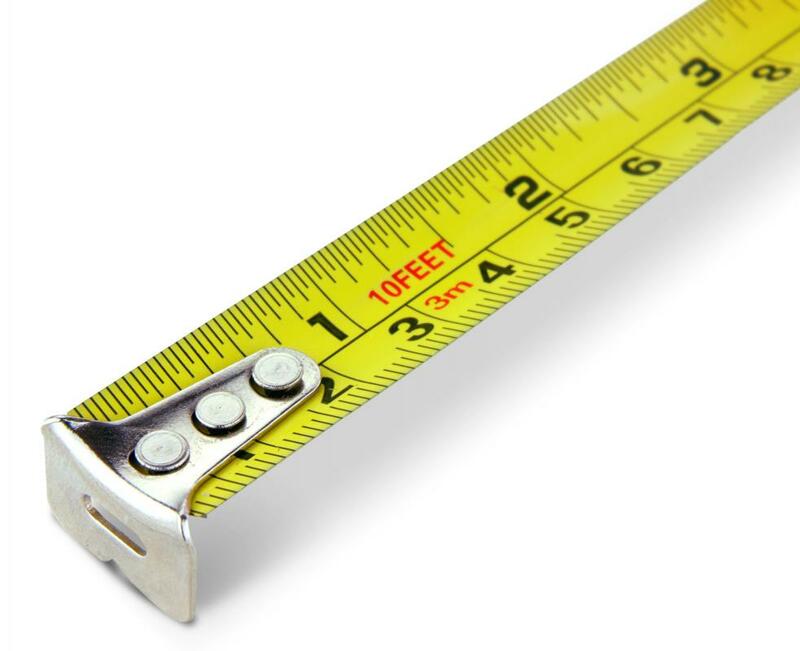 A tape measure is needed for hanging drywall. 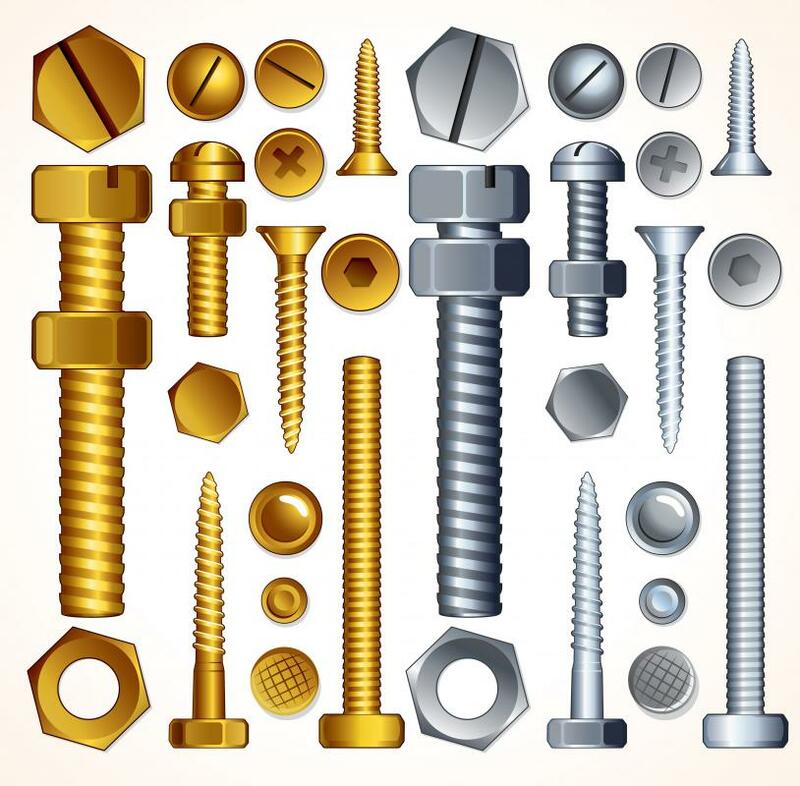 Various nuts, bolts and screws. Professionals typically use hand trowels to mud joints, but a taping knife can also be used. 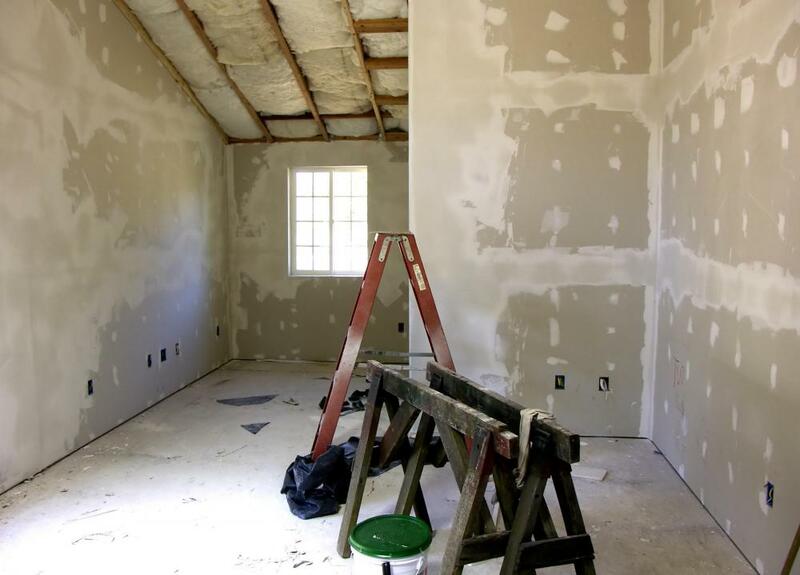 In the mid twentieth century, the construction industry was revolutionized by the invention of drywall. Drywall hanging is significantly easier than the old system of lathe and plaster. A professional can typically install drywall in an entire room in a matter of hours, but even the less experienced weekend warrior can handle drywall hanging with a few helpful tips. Measuring carefully, cutting boards, and screwing them into place are the basic steps to the process. The ceiling of the room should be hung first. Enlist the help of an assistant to hold a drywall board in place on the ceiling, tight to a corner of the room. Screw five drywall screws through the drywall and into a joist, running evenly along a joist. Sink the screws in just a little, but don't let them poke through the paper. Repeat this process on each of the joists. Verify that there is about a four-foot overhang on each board, so that they all have even weight distribution. When a wall is reached, measurements must be taken to carefully to ensure that the drywall will fit snugly against the wall. This usually requires some cutting. To cut the drywall to fit, measure the piece using a tape measure, and use a pencil to make marks where the cut needs to happen every foot or so across the board. Hold a straight edged board, yardstick, or metal T-Bar across the lines to be cut. Run a blade across the straight edge to score the drywall paper. The drywall should snap back with a little push, and break along a straight line. Now, run the blade along the back edge of the drywall to cut the backing paper. Once the ceiling is complete, use a pencil to mark on the ceiling where all of the wall studs intersect. This makes drywall hanging on the walls easier. To ensure equal weight distribution again, make sure that the end of first board will fall about halfway between studs. If it will not, cut the board to fit. The helper should hold the new board tight to the ceiling. The top of the wall needs to be covered first, since it requires a nice even joint at the ceiling. Since the floor will be covered with trim, it is best to have any raw cut edges at the bottom. Once again, place five screws evenly through the wallboard and into the first studs. Repeat along the remaining studs. When drywall hanging, allow the boards to overlap doors and windows. These should be cut down after the pieces are screwed into place for ease of installation. Remember that these raw edges will be covered by trim, so don't be too concerned about their appearance. Once hanging process is complete, the intersecting surfaces can be finished with drywall tape and plaster. How do I Repair a Drywall Ceiling? What is a Drywall Sheet? 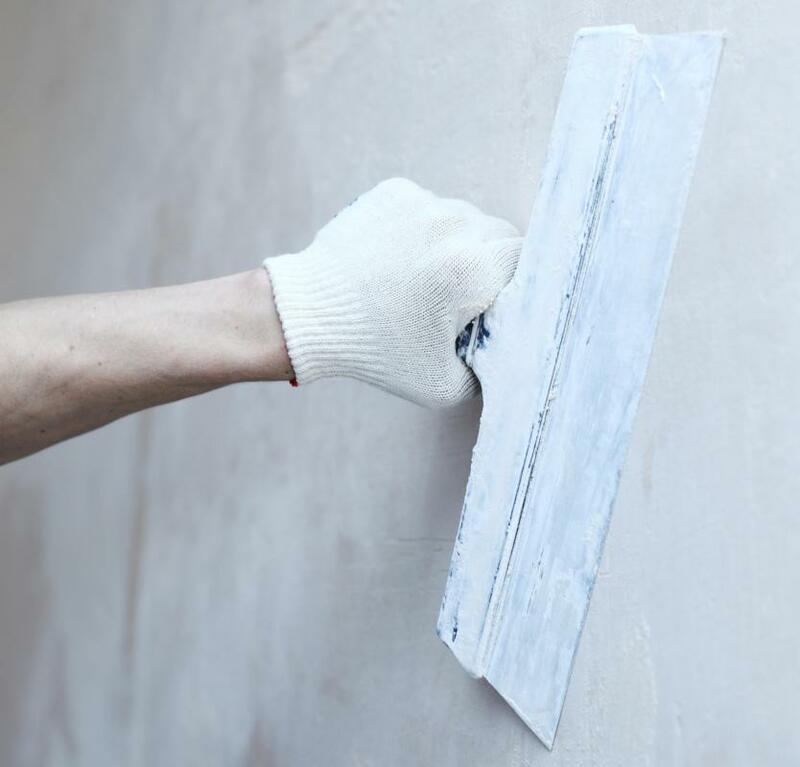 What are the Different Types of Drywall Finishes?